GoPro’s Cineform codec has just been officially standardized by the Society of Motion Picture and Television Engineers (SMPTE) as the SMPTE ST 2073 VC-5 video compression standard which is the new open codec standard for video acquisition and post-production. In other words, this means that now the codec can be easily adopted and implemented by more camera manufacturers and software companies, hence becoming even more accessible and suitable for a wider range of applications. Indeed, this is a major milestone and a huge accomplishment for GoPro. The cross-platform intermediate codec currently supports 10-bit 4:2:2 YUV, 12-bit 4:4:4 RGB / RGBA and 12-bit Bayer RAW colour depths. The compression is based on the fast wavelet algorithms (similar to REDCode and Jpeg2000) with data compression ratios between 10:1 and 3.5:1. There is also an uncompressed mode for RAW files. At the moment After Effects, Premiere Pro, and Adobe Media Encoder all ship with native CineForm encode and decode support. 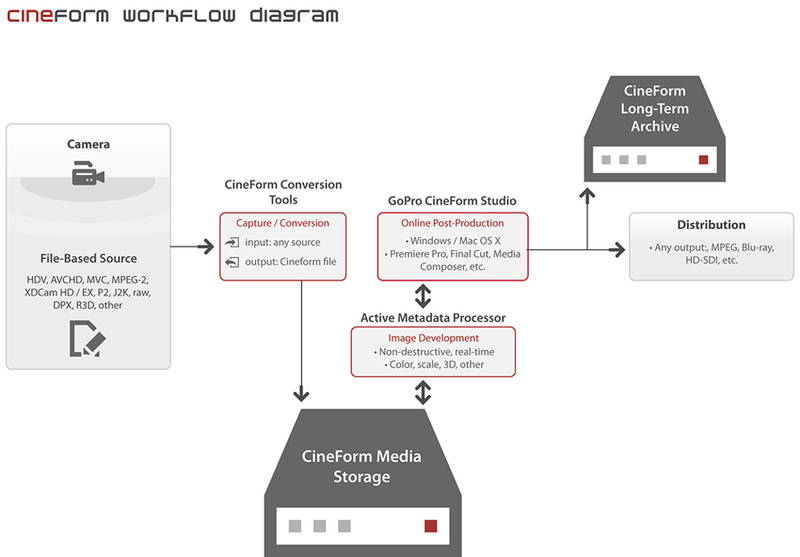 Тhat’s why more and more Windows users tend to use Cineform as their intermediate codec of choice for high-end post-production workflows and archival purposes on a daily basis. 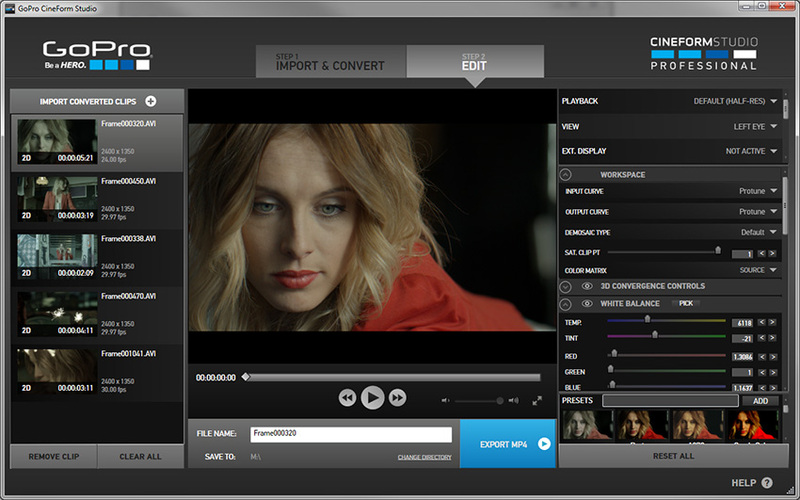 Compatible with the most popular professional applications including Final Cut Pro, Premiere Pro, After Effects, etc. One of the great benefits of Cineform compared to ProRes or DNxHD, for instance, is that when you transcode Raw files to Cineform Raw you can actually keep the ability to access and tweak all the Raw settings of your files such as white balance, ISO, exposure etc. maintaining considerably smaller file sizes without sacrificing on image quality due to the wavelet compression of the codec. Furthermore, you can apply significant colour grading or LUTS to your files as meta data and get instant results without needing to export the footage which is extremely effective and time-saving. All in all, the Cineform codec has very good compression/image quality ratios and it’s also very efficient with system resources providing fast transcoding and supporting unrestricted spatial resolutions, which means you can work natively with 4K Cineform files and beyond. Even after the SMPTE standardisation GoPro plans to continue enhancing the codec. The company will also provide support to users who have purchased a license for GoPro Studio Premium and Professional, up until Dec 31, 2015, however, the development of the latter applications has been officially discontinued. If you’d like to know what type of settings you should use when working with Cineform, take a look at the in-depth Media Encoder tutorial produced by Casey Ferris that we’ve recently covered on the blog.